The Stroller Search is Over! Be one of the 1st to get Ergobaby’s NEW 180 Reversible Stroller! The infant Comfort Cushion cocoons your newborn in the same ergonomic M-shape leg position that they love in our Ergobaby Carriers. As your baby grows, you can continue to use the head support during naps. *Free Infant Comfort Cushion offer good while supplies last. Offer expires on February 19, 2018. We’re excited to see your comments, photos, videos, and links about our products. Please share with us at Ergobaby and each other! Previous	Best-selling Winter Rehab Kit is back – for a limited time! Next Win! Win! 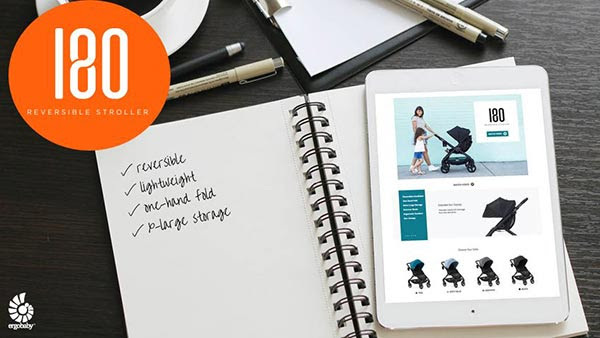 Win a 180 Reversible Stroller and an Omni 360 Plus MORE! Copyright © 2011 BroadBase Media, LLC All rights reserved.